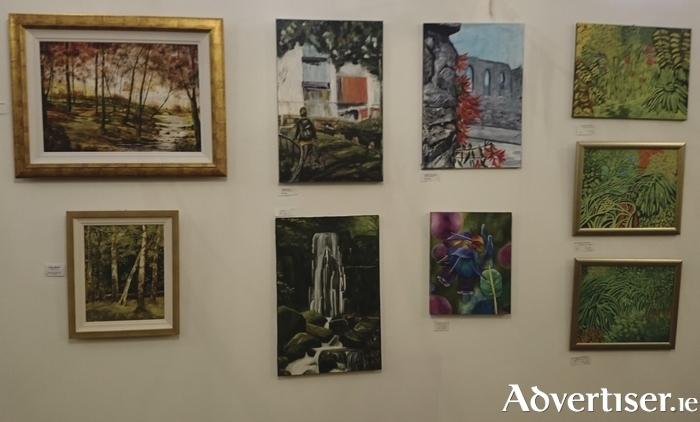 'CONNECTIONS WITH Galway, landscape and nature' is the theme of a series of works by Galway artists which are currently being exhhibited in the Galway Mechanics Institute in Middle Street. The artists exhibiting are Annette Kelly, Rena Casey, Maura Burke, Redmond Burke, Margaret Fletcher Egan, Margaret O’Dwyer, Nuala Nolan, Mary Hynes, and Bernadette Garrett. The group was founded in 2014 by members of the Galway Mechanics Institute, most of whom were graduates of the GMIT Degree Course in Art and Design part time course. The exhibition runs daily from 11am to 5pm, until Friday July 22.